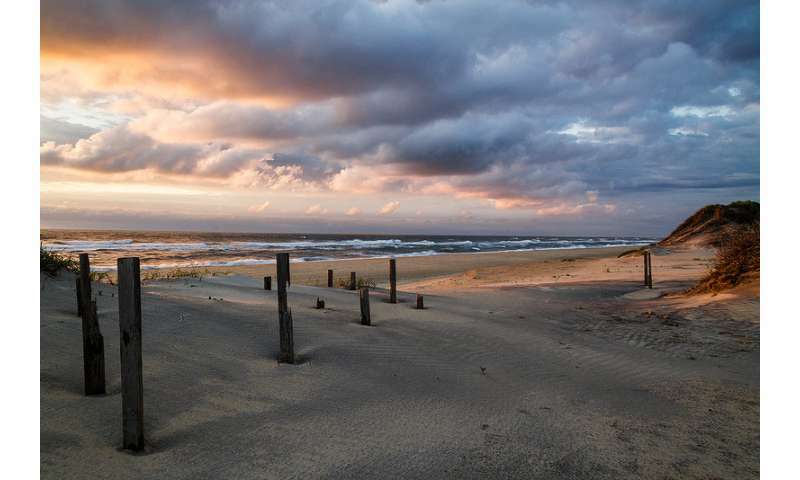 An economic analysis by North Carolina State University, Oregon State University and RTI International finds that the economic benefits of biodiversity and habitat preservation significantly outweigh the costs of off-road vehicle (ORV) restrictions at Cape Hatteras National Seashore. The study sheds light on the relative economic value of efforts to balance environmental protection with human access to public lands. "We found that the upper bound of cost estimates associated with the ORV restrictions was less than even a conservative estimate of benefits," says Roger von Haefen, an associate professor of agricultural and resource economics at NC State and co-author of a paper on the analysis. At issue are some coastal areas of the Cape Hatteras National Seashore that are nesting sites for endangered sea turtle and bird species. The same areas are also used for recreational purposes and have, historically, been accessed in large part by ORVs. When the National Park Service limited ORV access to these areas in 2012 to protect wildlife habitat, there were concerns that the restrictions would adversely affect recreational fishing, tourism and the regional economy. To assess the extent of this impact, the researchers collected publicly available data from the National Oceanic and Atmospheric Administration regarding marine recreational fishing. Those data allowed researchers to assess how much recreational fishing took place in the affected areas of Cape Hatteras. The researchers then used the data to develop an economic model that could predict how recreational fishing behavior may change in response to the ORV restrictions – and, ultimately, how much the restrictions may cost recreational anglers. "There are multiple affected groups here: local businesses and recreational users, including anglers," von Haefen says. "There are costs to local businesses, but those losses are offset by gains to other businesses in neighboring coastal towns. i.e., if people don't fish at Hatteras, they likely fish elsewhere in the region. In short, the economic impact to businesses is a wash. The tourism data since the ORV restrictions were put into place bear this out – visitor numbers haven't dropped. "That leaves us with addressing costs to the anglers themselves," von Haefen says. "Specifically, what we're looking at with our model is the difference between what people are willing to pay for recreational trips to Hatteras – with or without ORV restrictions – and what those people actually pay for those trips – with or without ORV restrictions." The researchers found that the cost of the ORV restrictions – the difference between what people are willing to pay and what they actually pay – ranges from $403,000 to $2.07 million per year. The researchers then added in related costs, such as those associated with: administering the ORV restrictions; increased traffic to other coastal areas; and impacts on surfers and other recreational beachgoers who aren't anglers. Altogether, the costs associated with the ORV restrictions came to between $3 million and $12 million per year. However, peer-reviewed, conservative estimates show that the economic benefits associated with habitat protection measures – what people are willing to pay – range from $13-48 million. "And that doesn't include other potential benefits to recreational users, such as beachgoers who prefer to visit areas that don't allow ORVs," von Haefen says. "Those benefits also don't include potential benefits from outside of North Carolina, such as residents from neighboring states who are willing to pay to protect endangered species along the coast. "This study indicates that the ORV restrictions are actually a net benefit for North Carolina," von Haefen says. "More generally, our work also offers insights into the value of environmental protection efforts on public lands. That's particularly relevant given the ongoing national conversation about how to best balance environmental protection efforts and access to public lands." The paper, "Recreation Costs of Endangered Species Protection: Evidence from Cape Hatteras National Seashore," is published in the journal Marine Resource Economics.